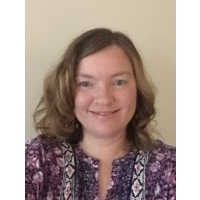 Misty Burke is an established author, poet, editor, and writing coach. She graduated from Ashland University with an MFA in Creative Writing and has published numerous romance novels and poetry collections over the years. 2017); The Ghost Child Ballet (Kelsay Books, 2016). Credits: "barfing out" - Failed Haiku: A Journal of English Senryu (2017); "old books in the attic" - Failed Haiku: A Journal of English Senryu (2017); "love me when" - Failed Haiku: A Journal of English Senryu (2017); "love me when" - Failed Haiku: A Journal of English Senryu (2017); "crumbling cracks" - 50 Haikus (2017).